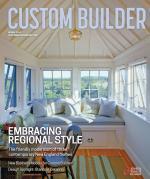 Custom home builders thinking like a production builder. Incentive compensation plans can reward performance but be careful about what you’re paying for. Now is the time to assess whether you have the team members your business needs in order to grow with the recovery. Builders share their strategies for keeping hold of the reins on their custom home projects. Custom Home Building: To Deduct or Capitalize? A recent Tax Court case highlights steps custom builders can take to get better deductions for some of their indirect costs. Three companies discuss the importance of instituting design studios, cultivating relationships, and offering quality work. Are severe storms pulling more demand for hardier building materials? A one-approach-fits-all mentality won’t work with your controlling clients.